The twelve lab exercises presented in this package are intended to accompany an introductory course in communication systems offered at the junior or senior level in an electrical or computer engineering program. The lab exercises use the NI USRP software defined radio platform; no additional laboratory equipment is needed, other than a computer to run LabVIEW Communications and to interface with the USRP. The USRP transceivers are operated in loopback mode with a coaxial cable and attenuator connecting the transmitter to the receiver. Each of the lab projects after the introductory lab includes a prelab assignment, an in-lab exercise, and a lab report. The twelve lab projects should be sufficient to support a one-semester course. For a one-quarter course spanning ten weeks, Labs 3 and 4 can be omitted without compromising continuity. These labs are intended to accompany and enhance an introductory course in communication systems at the junior or senior level (year 3 or 4) in an electrical or computer engineering program. After completing this course, students will be capable of building a variety of analog and digital communications systems comprising of a complete transmitter and receiver usng LabVIEW Communications and NI USRP software defined radios. With the knowledge built up through this course students will be able to identy common modulation schemes, diagnose impairments and use simple tools such as the Eye Diagram and Bit Error Rate to determine the quality of a communication system. This laboratory exercise illustrates the image problem in superheterodyne receivers. Image rejection is carried out using complex filtering. 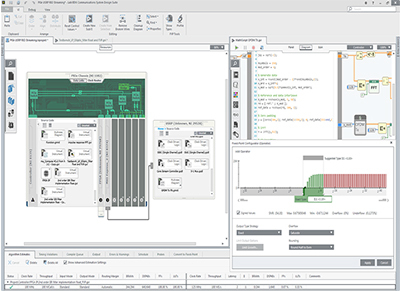 This lab introduces a processing technique that is straightforward in a software defined radio, but is virtually unavailable in a conventional hardware- based radio. This laboratory exercise introduces suppressed-carrier modulation. A simple scheme for phase and frequency synchronization is introduced in implementing the demodulator. In this lab project, design of the transmitter and design of the receiver each present challenges and opportunities for investigation. The lab project is consequently divided into several parts. The transmitter part investigates creation of the ASK signal and the effect of transmitted pulse shape on the bandwidth of the transmitted signal. 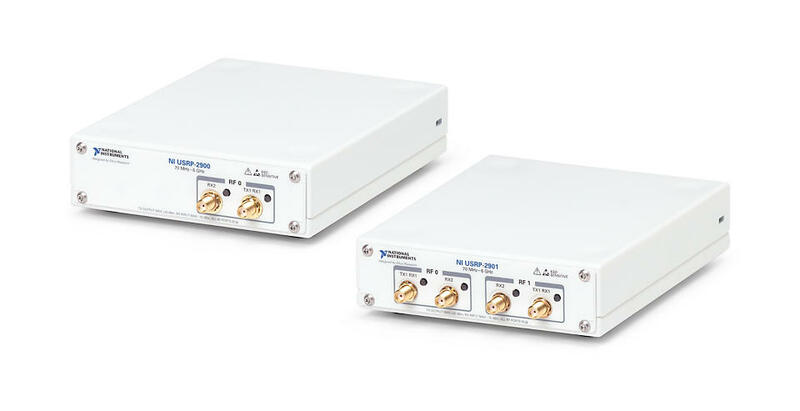 The receiver part investigates demodulation, matched filtering, and signal detection. There is a third part investigating alignment of the receiver and transmitter bit streams. In this lab project, students will examine how the eye diagram changes when intersymbol interference (ISI) is present in the communication channel, and students will learn how to make quantitative measurements of the amount of ISI from the eye diagram. In this lab project, students will use the BPSK transmitter and receiver that they created for Lab 9 as a “test bed” system. The Channel.gvi that students used in the eye diagram lab project will create the intersymbol interference. The equalizer that we will investigate is provided in the Modulation Toolkit. In this lab project we introduce quadrature phase-shift keying (QPSK), a variation on binary phase-shift keying that encodes two bits of data into each symbol. Using QPSK, we can transmit data at twice the rate, without increasing the channel bandwidth. There will be some loss in performance, however, as somewhat more transmitted power will be needed to maintain a given bit error rate in the presence of noise. 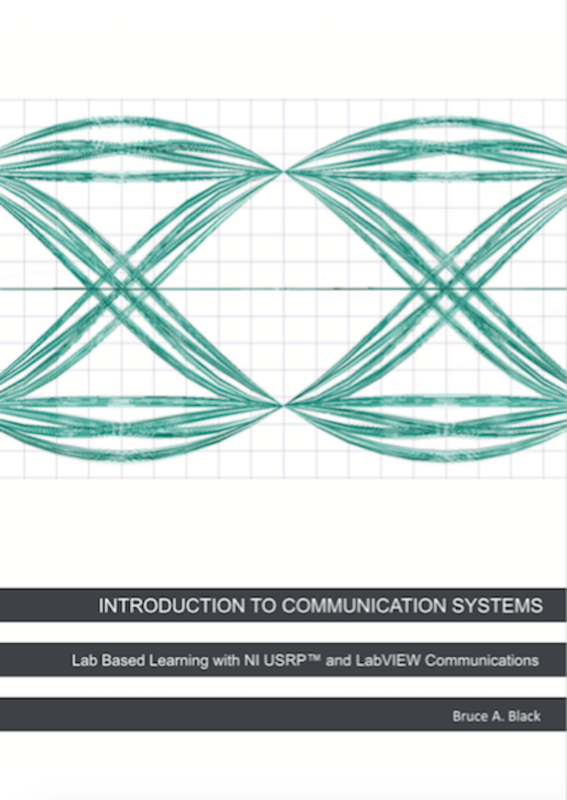 I purchased the Intro to Comm Systems teaching bundle with two NI2901 USRPs. None of the .gvi files that come with the lab will run with the NI2901. The device ID control is looking for the NI2920 IP address and is not set up to look for the NI2901 over a USB connection. I've tried to troubleshoot, but can't figure it out. Can someone point me in the right direction to get this working? The tutorials/examples that come with LabVIEW Communications 2.0 work fine. Thanks! thank you very much for your prompt response. My question is: can i use any type of usrp in these labs or a specific type. Also, do i need other packages with ni labview or just ni labview. thanks in advance. Hi Samer. The hardware and software required for these labs can be viewed in the "requirements" tab, and the solutions can be downloaded in the "Resources" tab.